Beaver Team Pro v 1.1.6 update – Conditional Heaven! Introducing Beaver Team Pro 1.1.6 – The Conditional Rows and Columns Rebuild! Now, you can show and hide rows and columns based on cookie values. UPDATED: Location condition now more granular! 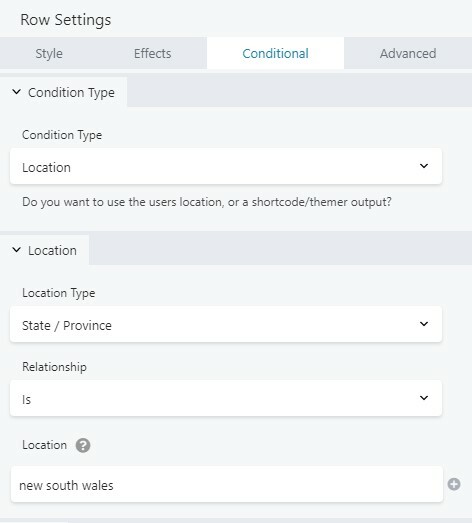 With this new update, with Beaver Builder and Beaver Team Pro, you can show different content to your customers depending on what state or country they are in. The update should be available now in your WordPress admin shortly. Don’t forget to add your licence if you haven’t yet! 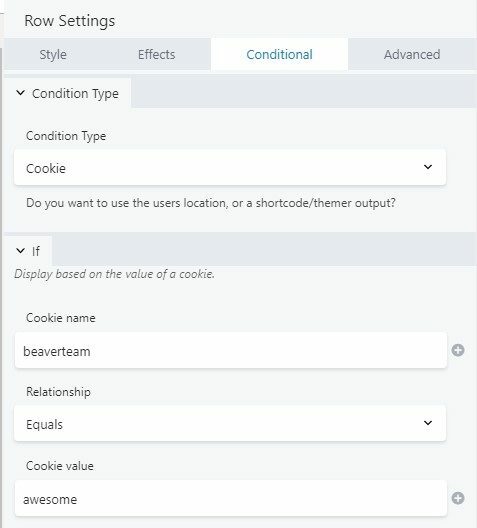 A note on privacy and our conditional rows module: Both the cookie and location conditions are front-end solutions, meaning all variations are rendered in the browser hidden, then the appropriate rows and columns are shown. We use this method as its cache-friendly, and simple to work with. We don’t recommend using this tool if you need to keep sensitive information protected from some users as the end user can look through the rendered HTML to see the hidden content.